In 1960 a bishop at the Vatican received a letter with photographs of a statue of the Virgin Mary bleeding from her eyes from an anonymous nun at a home for fallen women. Father Thomas (Lalor Roddy) and Father John (Ciaran Flynn) were sent by to investigate the reported miracle and document their evidence. 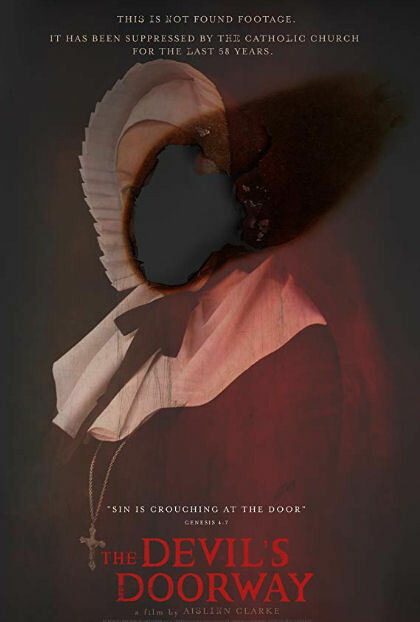 As the Fathers bring into question the conditions the women at the home live in, tensions arise with the Mother Superior (Helena Bereen) in charge. Events escalate quickly when all the statues on the property begin weeping blood. When tested it’s confirmed all the blood is that of a pregnant girl. As the investigation deepens, a locked away evil is unleashed. Aislinn Clarke impresses as Ireland’s first female to direct and co-write a horror film. A film that’s set in 1960 has the dark and dreary feel so often captured in movies from the 70’s with a more modern found footage style of filmmaking. For over 200 years until 1996, women who became pregnant outside of wedlock were hidden away in Ireland by the Catholic Church and subjected to labor and abuse. A horrid real life situation that’s the perfect setting for a horror film. Veteran actors Lalor Roddy and Helena Bereen with young Lauren Coe all give excellent performances you’ll be hard pressed to find better than in a horror film. To a lesser extent as he’s mostly behind the camera Ciaran Flynn impresses as well. Found footage is done to death but for once I didn’t mind it. The film moves quickly. Tensions are kept high in the darkness. The only disappointment for me was the walk at night ending which seems copied straight from the innovator of “found footage” The Blair Witch Project but with a little more oomph.